What would you think if I said that I didn't find many interesting posts from last week's Frugal Friday? Well, I hope you would say "Who are you? And what have you done with Wendy?" 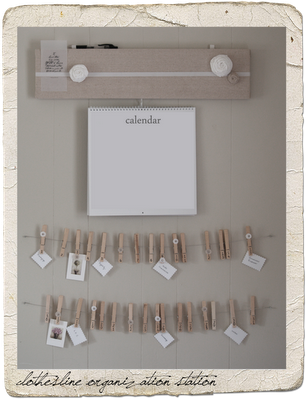 Freckled Laundry shared a wonderful organization station! That girl is just so full of great ideas! Jones Design Co. shared her absolutely amazing painted wallpaper. L.O.V.E. x 100 to the 3rd power. 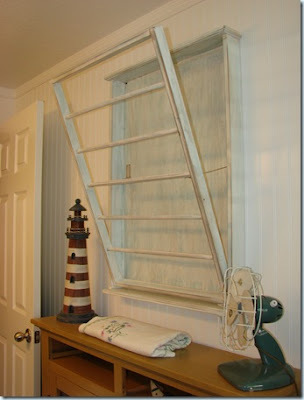 Grams shared her Ballard Design-inspired laundry drying rack. I'm gonna have to make me one of these. I've been coveting that rack forever! 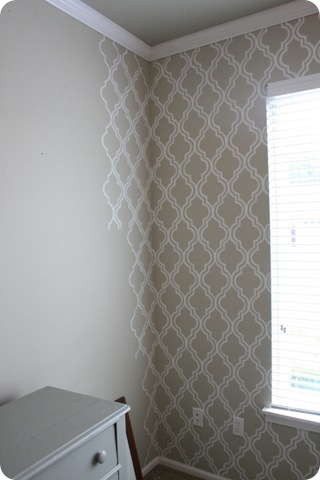 And finally, Dirt Cheap Decor shared a fabulous bedroom redo. 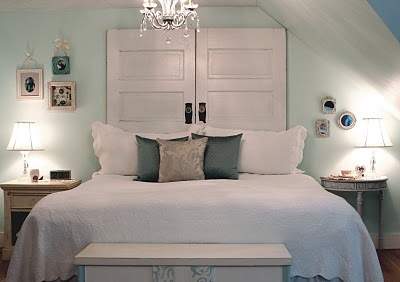 Lovin' the reclaimed door headboard. As always, the Frugal Friday participants knocked it out of the park! If you missed out on the fun, click here. Oh, and in other news, today is National Smores Day! Yep, they have an entire day dedicated to those yummy treats...come back tomorrow to see how my little family is celebrating!! I forgot about Frugal Friday last week, thanks for the reminder. I'm click click clicking! I forgot Frugal Friday...I will try to link soon.. I love them all. I feature the Dirt Cheap Decor makeover this week too. Going to check out that organization station now. I'm just tickled to see that you featured my bedroom makeover! Tons of great projects, thanks for hosting!